Black paper tube packaging is very versatile, small cardboard round boxes can be used for essential oil packaging, and large size cylinders can be used for shirt packaging and candle packaging. There is no doubt that paper tube candle packaging is one of the best packaging methods, which can be used to package diy candles for optimal display. Since the candle is mostly a round cup candle, it is closer in shape to the paper tube. Designing a transparent window in the candle tube packaging will be better for displaying the candle, but the manufacturing cost will increase by 30%. 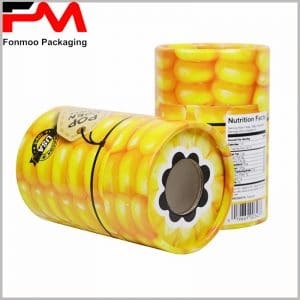 Fonmoo Packaging Ltd. has been the industry leader in the production of candle box packaging, offering a wide range of packaging design and packaging solutions. The packaging boxes we manufacture are made of high-standard materials. Each candle package is durable, high-quality, exquisite, and the wholesale price is the lowest. From the clear need to the completion of the candle boxes, we only need 7 working days. More critically, for proofing of paper tube packaging, we only need 1-3 working days for proofing. For more questions, you can send an email or call us and we will provide you with the best products and services.